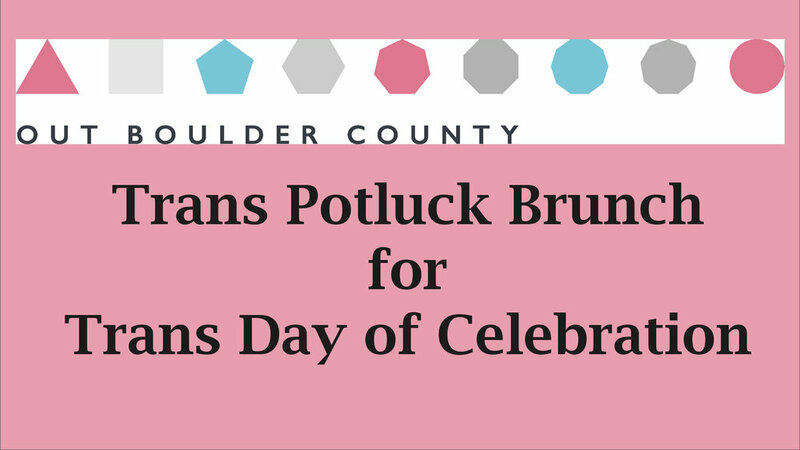 Out Boulder County's Transgender Steering & Events Committee is hosting a celebratory potluck brunch for trans folks on Sunday, March 31, 11 am-2pm at our Longmont office (630 Main St). This event is open to trans people only, including trans women, trans men, nonbinary, genderqueer, genderfluid, agender, and other gender expansive identities, ages 16 and up. Bring an item to share and celebrate in community! (Bringing an item is not required, it is encouraged). PLEASE RSVP via this quick & easy form. To see this event on Facebook, please click here.